BOE: Getting Ready to Hike Interest Rates? Blimey! It looks like the Fed ain’t the only major central bank thinking of tightening monetary policy soon. Based on the tone of the latest BOE Inflation Report, the U.K. central bank also looks poised to hike interest rates in the near future. Here’s a quick rundown of what happened and how it could affect the pound’s forex movement. According to BOE Governor Carney, the “point at which interest rates may begin to rise is moving closer, given the performance of the economy.” That’s a pretty straightforward statement, if I may say so myself! Now the BOE has already been vocal about its upbeat monetary policy bias in the past, reiterating that their next move is likely to be a rate hike. Carney’s latest remarks seem to have stepped on the gas when it comes to their hawkish sentiment, as he also acknowledged that U.K. economic growth has been consistently above trend. However, he also noted that weak inflation from abroad is counterbalancing the strength in domestic price levels. A quick review of the CPI figures released prior to the BOE Inflation Report hearings show that the man’s got a point. Headline inflation fell from an annualized 0.1% figure in May to show a flat reading in June while the core CPI dropped from 0.9% to 0.8% instead of holding steady. Producer prices chalked up a worse-than-expected 1.3% fall versus the estimated 0.7% drop, as imported crude oil and petroleum products logged in steeper price declines in June. 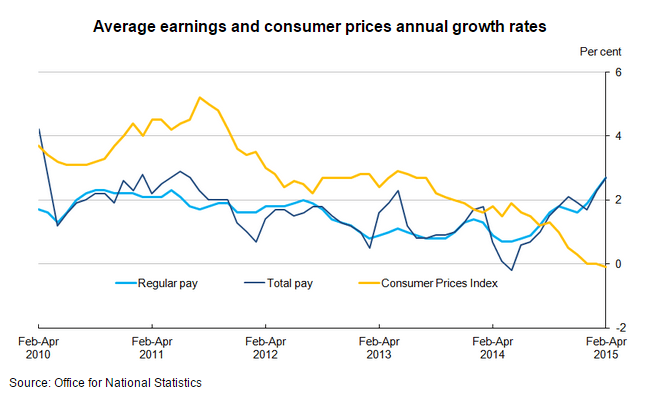 Despite this, Carney seems confident that wage inflation could continue to pick up. After all, the average weekly earnings index has been steadily climbing and beating expectations since March this year. In fact, the three-month moving average climbed to show 3.2% growth in weekly earnings through May, slightly lower than the projected 3.3% reading but a remarkable jump from the previous 2.7% reading. According to the Office for National Statistics, this is the largest increase seen since 2010! In addition, the latest earnings and inflation reports show that the gap between salary growth and gains in price levels has been widening, which basically means that Brits can be able to buy more with their moolah. This could lead to a boost in financial confidence and consumer spending down the line. Mo money, mo problems? Not really! Aside from BOE head honcho Carney, MPC members Ian McCafferty and Martin Weale also seem to be donning their hawkish feathers as well. If you’ve been keeping track of previous BOE minutes, you’d remember that these two guys had been voting for interest rate hikes last year before turning their upbeat biases down a notch when the global inflation slump kicked in this year. Now that the U.K. economy seems to be turning a corner, Weale hinted that he might vote for an interest rate hike in August since the labor market is strengthening. Take note, however, that U.K. jobs figures have been coming in below expectations for the past four months, with the June report indicating a 7K increase in unemployment. This marks the first time since 2012 that the economy saw a monthly drop in hiring. Aside from that, the May reading was revised to show a smaller 1.1K drop in joblessness from the initially reported 6.5K decline. All in all, it seems that BOE policymakers are feeling more optimistic about economic prospects in the U.K. but the latest set of reports show that the Brits aren’t out of the woods just yet. Compared to the rest of its peers in the developed world, the U.K. is still one of the better performers, which means that the pound might stay afloat. Besides, unlike the U.S. dollar which seems to have maxed out its forex gains from Fed rate hike expectations, the British pound looks like it has a lot of ground to make up for. Heck, sterling has either been tumbling or ranging against its forex rivals for most of 2014 so there could be plenty of room for more rallies.